Sunday, August 25 to Thursday, August 29. This is 3 days of riding, 4 nights in motels, with an optional 4th day of riding on another world class bike path. This is not a challenging ride. It is mostly flat with some gentle climbing at each end. This is a trip for kicking back, stopping for pictures, and enjoying the spectacular scenery. The trip starts in Wallace, Idaho on Sunday, August 25 where you spend the first night. 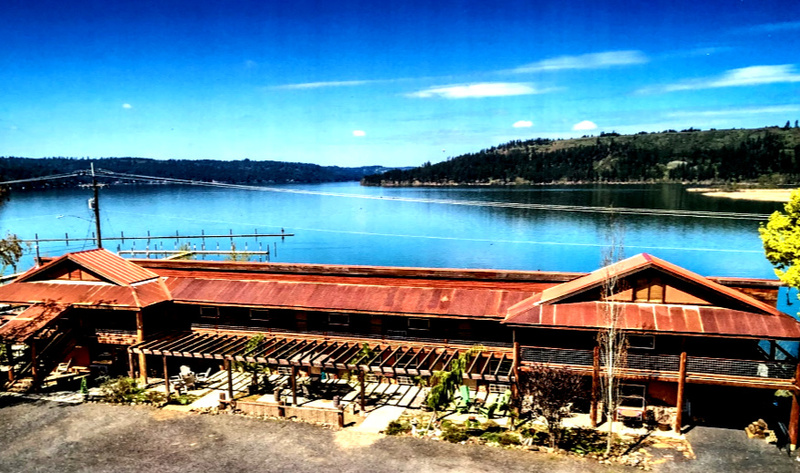 On Monday you ride either 50 or 66 miles down to Harrison, Idaho, right on the shore of Lake Coeur d’Alene. We stay Monday and Tuesday nights in Harrison. On Tuesday we ride 35 miles, round trip, for a lunch stop at Plummer, Idaho. On Wednesday we ride back to Wallace for the night. The Trail of the Coeur d’Alenes spends most of its distance away from development, along Lake Coeur d’Alene, the Coeur d’Alene River and series of wetlands and smaller lakes. The trail is also a wildlife habitat with moose, elk, coyotes, deer, bear, and a variety of birdlife along its distance. 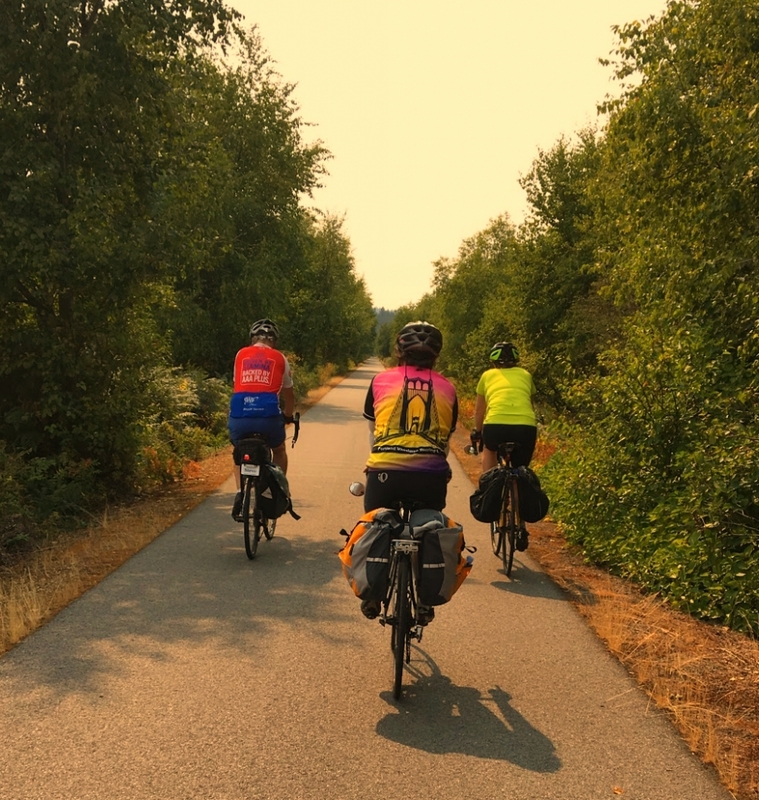 On Thursday, August 29 you can ride the optional Route of the Hiawatha, a 17 mile gravel trail that crosses 8 tall trestles and goes through 9 tunnels, through the heart of the Bitterroot Mtns. This rails to trails path was once considered to be the most scenic rail route in the country. Total distance for the trip runs from 135 to 184 miles. Cost for the trip is $285.00 per person, which covers the cost of 4 nights in motels. There is no sag for this event so you need to be able to carry enough to survive 2 nights in the motel in Harrison. This is hot weather country so you don’t need much. For more information or to register for the trip contact Bud Rice at bikebud@spiretech.com or at 503-667-0683. Pictures from the 2016 and 2017 Idaho Tour on Flicker.